Music by Gingger Shankar and featuring songs by Roc Nation. This romantic, international dance movie begins when troubled American Kelli is forced to attend a wedding in India with her family. She is soon a fish out of water in the city of Mumbai, experiencing exotic sights and sounds while witnessing the beauty of a family friend’s Indian wedding. When she meets Aseem, an entertainer pursuing his dreams in Mumbai, her heart and world are opened in ways she never dreamt. Both Kelli and Aseem are wrestling with questions of loyalty and doubts of who they are. When her brother died years ago, Kelli took on the mantle of being the family patriarch, and neither she nor her family have had closure to her brother’s loss. Nevertheless, Kelli has lied to her parents about being enrolled in law school, and has used her tuition to pursue her dream of dance in secret. Her loyalties, identity, and future are in question when our movie begins. Aseem comes from a small village where he taught himself dance and performance. Raised by his grandparents, he has come to Mumbai with his best friend, the charismatic but troubled BASU. The duo have been hustlers since arrival, but Aseem now wants to focus on his career, even though he secretly doubts his success. He wonders if he can have the success he seeks and maintain his friendship to his childhood friend. When Kelli and Aseem spark a passion in one another, they find the courage to pursue their goals and let go of their past mistakes, but it’s not without cost and heartache. Kelli’s visit to India is only for a short time, and to make things more difficult, her dear friend Deepika, Indian-American, whose brother is the groom, is in love with Aseem as well. In the tradition of ‘Save the Last Dance’, ‘Dirty Dancing’ and the original ‘Step Up’, this story takes us on a musical journey of love, hope, and redemption. 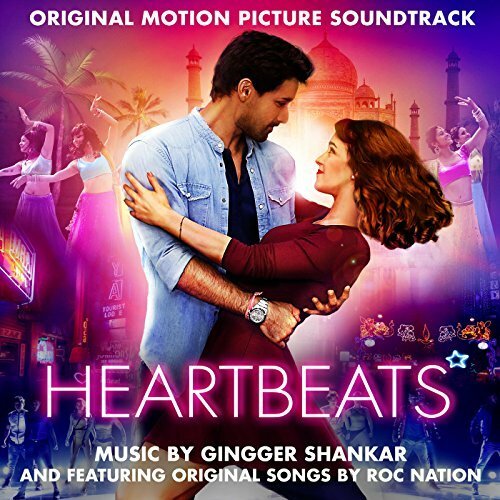 The movie soundtrack of Heartbeats will be released on March 23, 2018 by Sony Classical.